The number of Twitter users is growing. And Michael Haas is here to give you five reasons you should try it. 1. It takes only minutes from your day – If you're like me, you love having a busy schedule. Unfortunately that mean that many luxuries—like taking long walks in the park or smelling the roses—often take a back seat to "more important things," like work, eating, etc. While I'm always "on" Facebook (for my job), I rarely actually pay attention to every little detail of what's going on. Let's face it: who care what your neighbor ate for lunch, right? Twitter, on the other hand, is lightweight in comparison to Facebook and Google. The updates are only 140 characters or less, meaning everything is straight to the point—no nonsense involved. 3. Twitter is a source of thought leadership online – There's a reason that the majority of journalists in the United States are on Twitter. There's also a reason that many members of Congress and the President are on Twitter. And, I suppose there is also a reason why most celebrities are on Twitter. 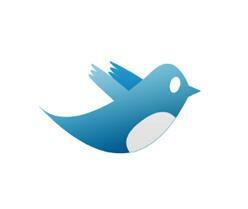 Twitter allows you to spread a 140 characters or less message much faster and farther than any other network. Because of this, most industry thought leaders and influencers use Twitter because it provides a medium to share knowledge. The folks at Twitter have stated numerous times that it is not a "social network," but an "information network." I don't go on the site to talk about what types of shoes to wear today (although some people do that…), I go on to gain insights into the world at this moment in time. 4. When using Twitter, you get breaking news all the time – I broke the news of Osama Bin Laden's death to my community hours before President Barack Obama confirmed it. I let my colleagues know that an earthquake was happening in Washington, D.C. minutes before it made its way over to Erie. The rapid pace at which information travels on Twitter allows it to break news more often—and faster—than most major news networks. 5. If you use Twitter, your friends are more likely to use it as well – Studies have shown that people who have 10 or more people they know actively using Twitter are more likely to keep it up than people without colleagues using it. I started using Twitter in early 2009, but abandoned it because it bored me. About a year later, I gave it another chance. Again, I was bored….until my friends started using it as well. Once a few familiar faces were on, I felt comfortable sharing more and more and developed a voice unique to @michaeljhaas. If you do try Twitter—and I suggest you do—grab a friend. You're experience will be much better.